Water & sewer covered in HOA dues. Agent is Owner. MLS#3497566. RE/MAX Executive. Home comes with a 30-day buyback guarantee. Terms and conditions apply. MLS#3496906. Opendoor Brokerage LLC. Extra living space in the attic! MLS#3497707. My Townhome. Great location minutes from uptown Will not last long! Do not disturb tenant. MLS#3494388. Ramadan Realty. 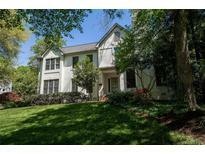 McCrorey Heights - Close to downtown, Music Factory, and interstates. Great lot. MLS#3495945. Premiere Properties, Inc.. Tenants in place short term, dont disturb. MLS#3497943. United Brokers Ltd.
Mcalpine Forest - Close to shopping, schools, dining, and I485. MLS#3467908. Scarlett Real Estate, LLC. Cottonwood - More storage in the walk in attic. MLS#3495514. Cottingham Chalk. ** ALL visitors MUST be accompanied by a licensed agent who has an appointment ** MLS#3488662. Keller Williams South Park. Seversville - Beautiful city skyline views. Immaculately maintained. MLS#3495429. Keller Williams Mooresville. Parkside - Walk to nearby parks, greenways, entertainment and restaurants! MLS#3496366. EXP REALTY LLC. 3m to I-485. 17m to Uptown. MLS#3452692. Jonathan Roberts Realty Inc. The elegant jewel is move in ready! MLS#3497222. Keller Williams Concord/Kannapolis. Owner providing 1-year 2-10 Home Buyers Warranty. MLS#3496475. Allen Tate SouthPark. Belmont market literally across the street, Fenced in backyard with plenty of room. MLS#3496442. Keller Williams Ballantyne Area. An awesome location and home that should not be missed! MLS#3493780. Yancey Realty LLC.